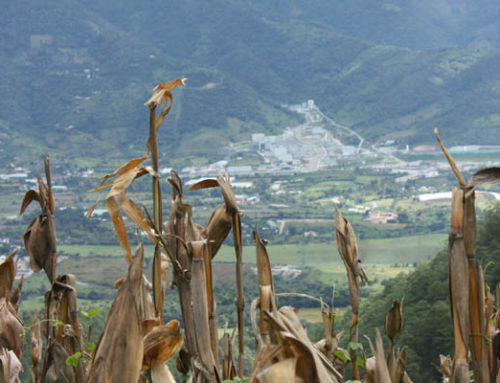 On April 30th and May 8th respectively, Goldcorp and Tahoe Resources held their Annual General Meetings (AGM) in Canada to discuss their FY2014 accomplishments and future expansion plans at their mine sites in Guatemala. 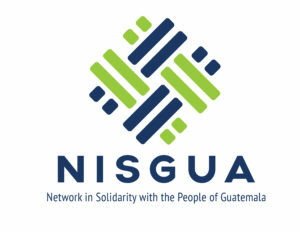 What was missing, however, were the many voices of those impacted by Goldcorp and Tahoe’s operations around the world – voices of communities whose water sources are becoming increasingly contaminated and drying up; voices of community leaders who are being criminalized for speaking out against the mining companies, and the voices of peaceful Guatemalans who are witnessing the military occupy their communities once more in order to protect private corporate interests. and other allies demonstrate in front of Goldcorp’s office. Those present laid red carnations on the steps of Goldcorp’s office in an act of solidarity with Topacio’s family and friends as well as with communities who continue to face violence from mining operations. The flowers also symbolize the ongoing resistance to the Escobal project. 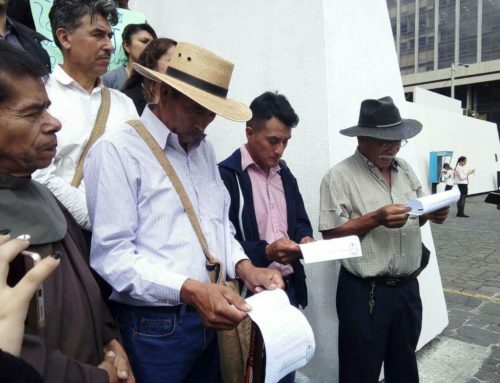 In 2011, communities from San Rafael las Flores – which borders the Escobal mine – marched to the company’s headquarters in Guatemala City and to the Canadian embassy to leave red carnations in an act of protest against the mining project. 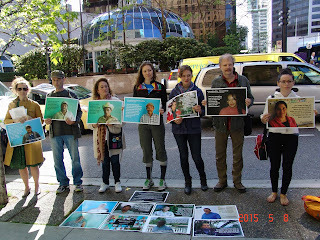 Activists marched down Toronto’s financial district to Goldcorp’s shareholder AGM, carrying banners to denounce the violence suffered around the Marlin mine during its ten years of operation in Guatemala. Community voices aren’t being heard where the decisions are being made, and so demonstrators wheat-pasted some of the messages impacted communities wanted to tell investors outside Goldcorp’s office and around Toronto’s financial district. In a similar action on May 8th, members of the Mining Justice Alliance and Amnesty International gathered to bring some of these same messages to Tahoe Resources’ shareholder AGM in Vancouver, Canada. 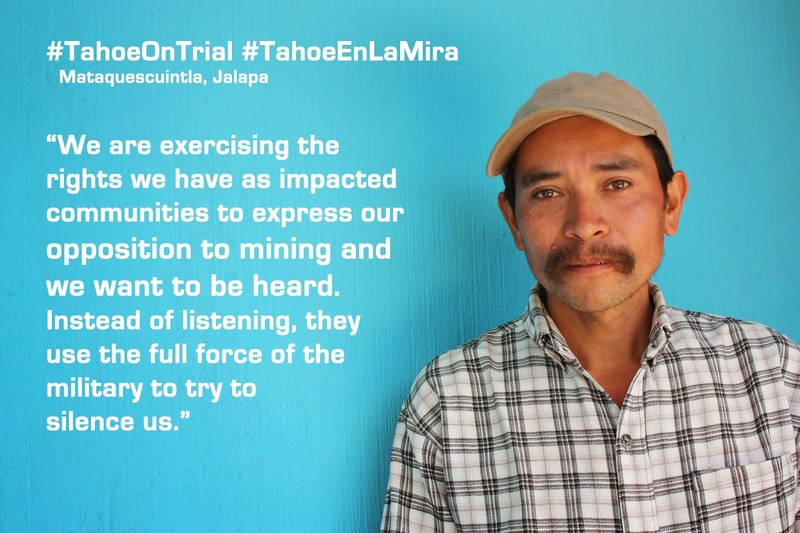 U.S. and Canadian-owned mining companies like Tahoe Resources and Goldcorp operate without the free, prior and informed consent of those most impacted by their operations. 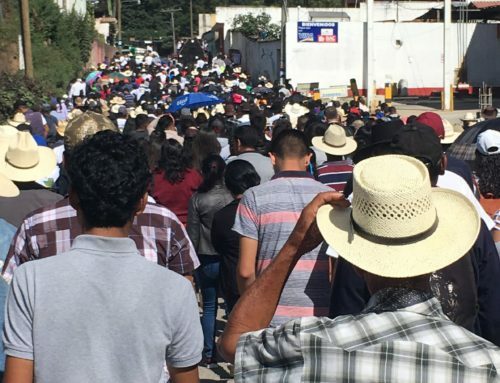 Instead of listening to the concerns of community members, these companies engage in practices of criminalization of local leaders, while promoting the implementation of militarized security strategies at their mine sites in an attempt to quell local opposition. 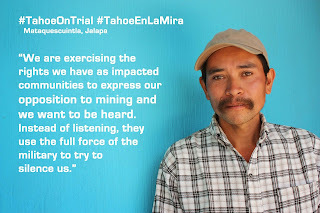 To see more messages from those impacted by Tahoe’s Escobal mine, click here.